We will use this forum for general conversation. HEY JAMES GLAD YOU COULD MAKE IT. Hi! This is Audrey, from COLD(right now) Mo.! Nice to meet you, 1st day for this cubit, but we have high hopes. I don't think it will be to long before we have quiet a few members. 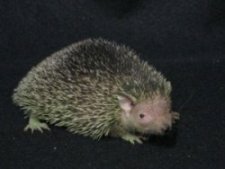 Do you have a hedgehog or other pets. That's OK! I've been called alittle bit of everything, just don't forget to call me when it's time to eat!! 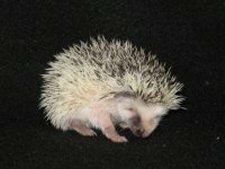 I don't at this time have a hedgehog, nor do I want one! I have a 31# orange cat, and a 5 # chi wa wa (sp). I used to raise chickens, first year I ordered 50, the next year 100. Sil-Go-Link, little red hens in white underwear! They were the layin'est chickens I ever saw. I would bring in a 5 gal. bucket of egs every day! Lots of double yolks, too. Huge eggs. They really loved me, too. When I came home, they'd come to me like a bunch of geese, in a big v. beautiful!! He had both the reds and the greys. He made good money selling them till the gov. stopped it! That sounds cool, what kind of chickens were they, do you have any pictures. I don't think I do, that was in the '80's. They were a sexlink hybred. Called Sil-Go-Link. They sure are good layers. I think you can still get them. I used to hang pieces of fat for them, and they would eat every bite! They would also eat styrofoam, if they got to any! do you guys have a facebook page? I can't find it. Sorry for the delay in response we've been busy and thank you for the inquiry. You can catch us on either one of these facebook pages, just copy and paste to your web browser.